Refocus is a positive word, an action word that implies moving forward. It suggests doing something again that you once did, and maybe did well. You were focused, now let’s refocus. It’s what we like to do when the new year dawns – refocus our energies on some things we’ve maybe lost sight of, or not been as vigilant about as we’d hoped. Often this involves food and our health. Maybe this is the year you really want to learn to cook simple, healthy meals. One of the easiest ways for a busy person to do this is with a slow cooker. We’ll offer you some other tips in the coming weeks, but let’s start with a simple slow cooker recipe. Almost all of us have a slow cooker, in the form of a crock that plugs in. 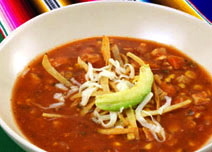 Here’s a recipe for chicken tortilla soup that combines some hearty vegetables with spices, as good as anything you’ll find at the restaurant down the street! Serve it at home, knowing exactly what ingredients are within: simple and healthy. Combine all ingredients in greased 4 1/2 to 6-quart slow cooker. Cover and cook on low heat 6 to 8 hours or on high heat 3 to 4 hours. Serve with tortilla strips and garnish with grated pepper jack cheese and guacamole. Add 1 cup shredded carrots or shredded zucchini at the beginning of cook time. In the coming weeks, we’ll present more ideas to help you renew your efforts in the areas of healthy eating and sustainable living under the “Refocus” heading. We’d love to hear your tips and plans, too. A team from Aura Cacia, our essential oil brand, recently traveled to Morocco on a sourcing trip. 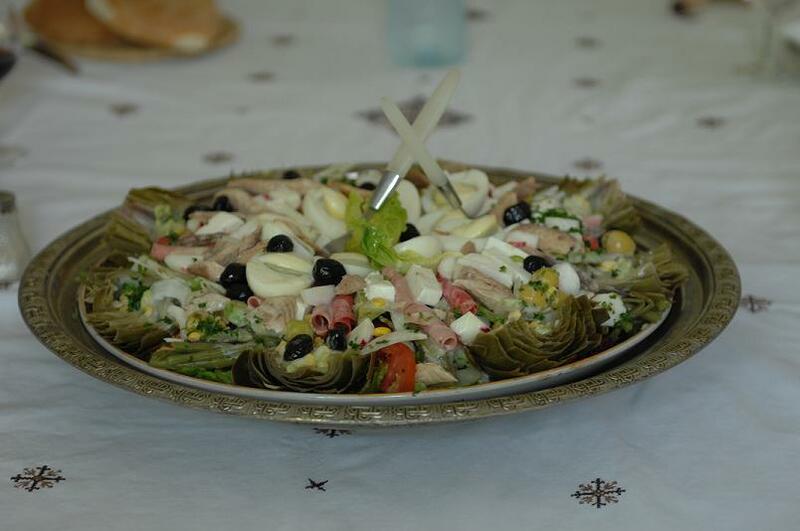 We always like to hear about the cuisines encountered on these trips. A few notes they shared with us about the food: Tagines were often used to cook the food, no pork was ever served, fruit was served as dessert, argan oil was used in many dishes, and the photos don’t really show how large the dishes were! 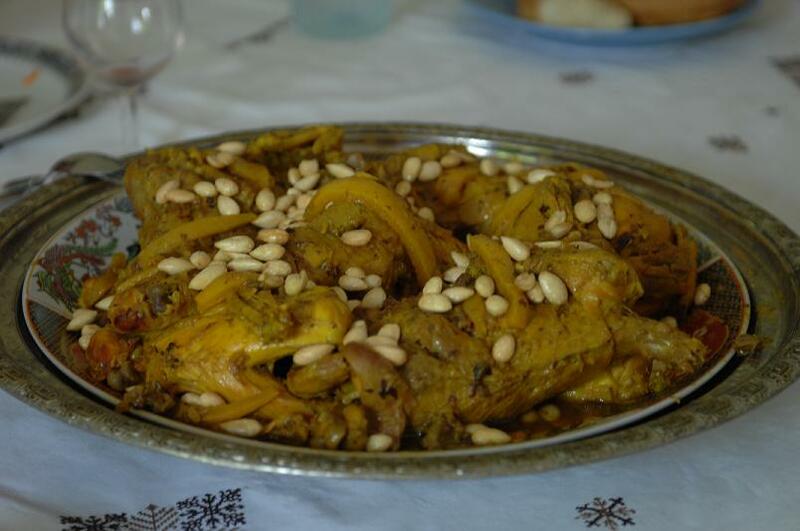 Because of Morocco’s interaction with many other cultures and countries throughout history, today’s Moroccan cuisine is surprisingly diverse. In addition to imported spices, many ingredients are home grown, including saffron, olives, lemons, and mint. Common spices used daily include cinnamon, turmeric, cumin, pepper, paprika, ginger, coriander, sesame seeds and anise seeds. We’re going to let the team’s photos do the rest of the talking. 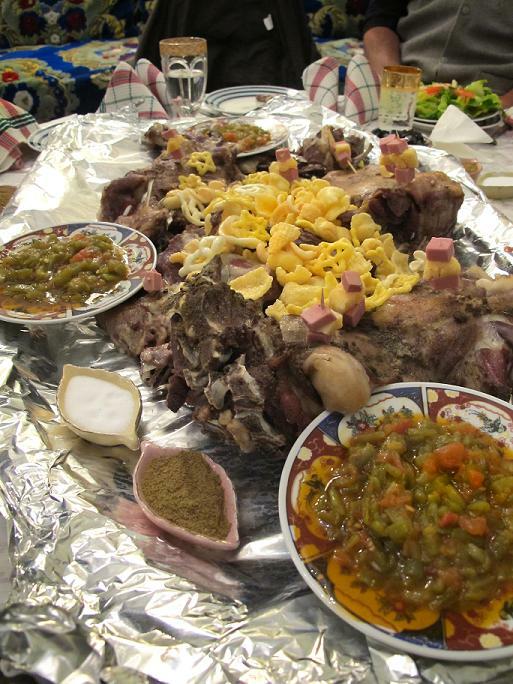 Main course served in Moroccan home. 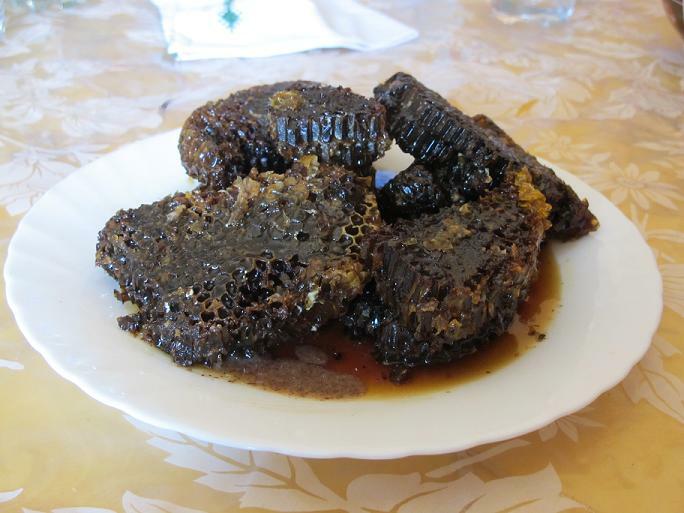 Honeycomb appetizer, for dipping bread. 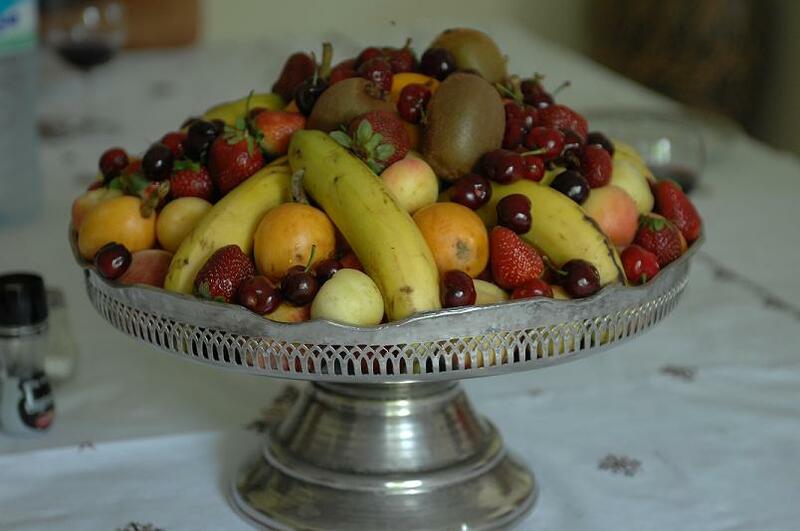 Fruit platter, served as dessert. 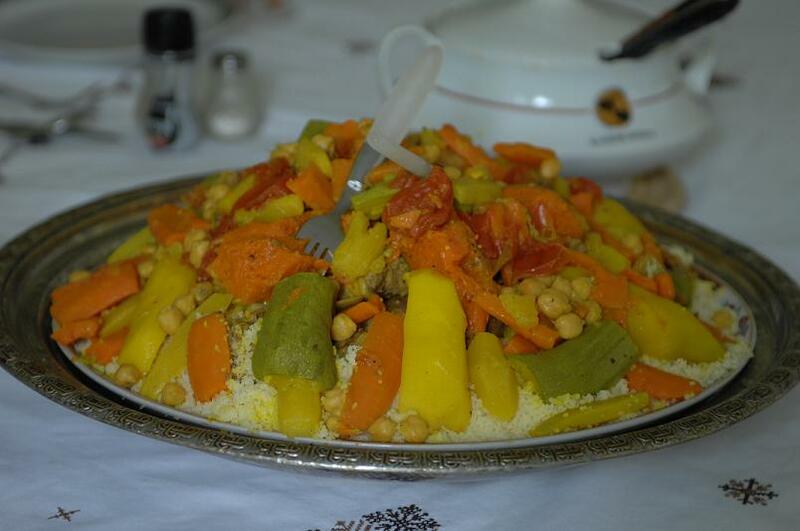 Cous cous veggie dish made with argan oil. Here’s a recipe from our recipe files for creating your own Moroccan spice rub, using coriander, fennel, cardamom and cloves. Dry toasting whole spice seeds intensifies their flavor and fragrance. You can liberally rub this enticing spice mix over salmon, halibut, pork, chicken or beef before cooking, or add it to sautéed onions with chopped kale, collard greens, or cabbage, sea salt, and black pepper with a little bit of broth, then cover and simmer for a delicious side dish. Thanks go to Chef Bruce Sherrod of Berkeley, CA, for sharing this recipe. To toast seeds: Combine spice seeds in a dry, medium-size skillet over moderate heat. Stir until fragrant, about 3 minutes. Pour seeds into a shallow bowl to cool. To grind: Finely powder the toasted spices in a spice-dedicated coffee grinder (not the same one you use for coffee) or mortar and pestle. Store in an airtight jar at room temperature for up to 6 months (use sooner if possible). To use with fish or meat: Season steaks, chops, fish, beef or pork roast with coarsely ground black pepper and finely ground sea salt; roll the meat in a portion of spice mix and press firmly to coat all over. Allow the seasoned meat to rest at room temperature for 15 minutes, or cover loosely with unbleached parchment paper and refrigerate for up to 4 hours before cooking. Sear seasoned fish or meat in a heavy, oven-proof skillet with coconut oil, clarified butter or ghee (2 tablespoons per 1 1/2 to 2 pounds fish or meat) until hot but not smoking. Sear 1 to 2 minutes per side, then finish in a preheated 400°F oven. To shell whole cardamom seeds, place 1 tablespoon of whole cardamom pods (they have a beige color) on a cutting board. Rock over them with a heavy-bottomed skillet or chef knife. Pull away and discard the shell fragments, then measure the black seeds. Repeat as needed. To skip this step, buy shelled cardamom seeds. 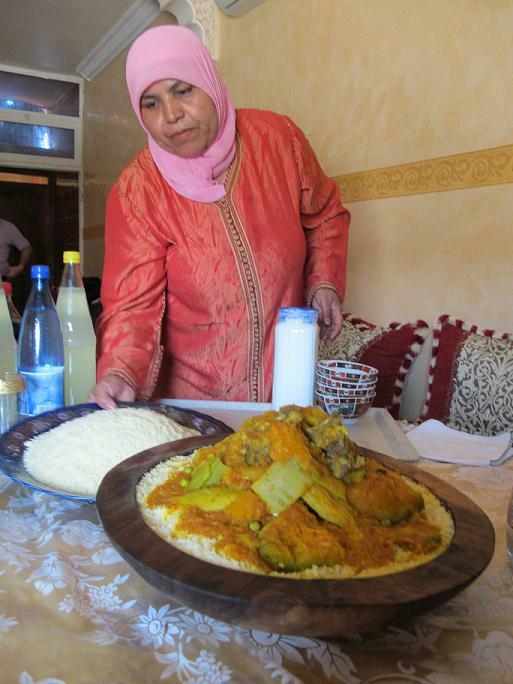 Let us know if you have experience with Moroccan foods, or any favorite recipes you’d like to share!